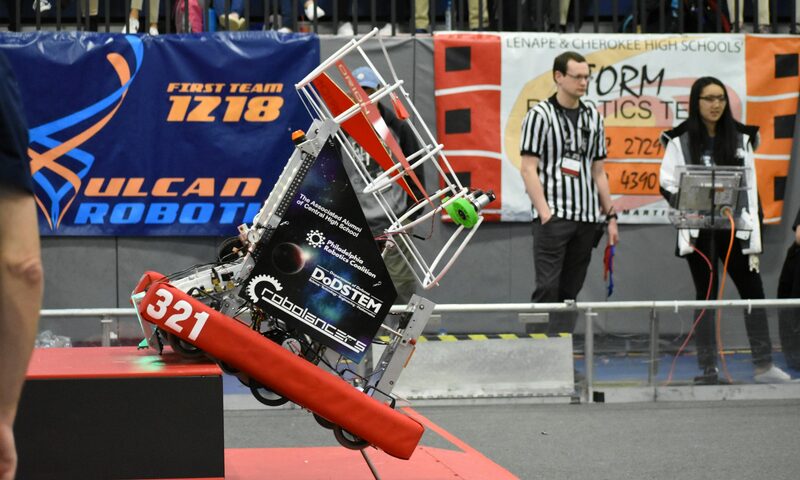 On January 9, 2016, the RoboLancers went to UPenn to attend the FRC kickoff where they watched Dean Kamen and Woodie Flowers roll through a forest on segways, make Monty Python references, and watch the reveal of the FRC 2016 game: FIRST Stronghold. In Stronghold, teams must take over the opposing team’s castle by breaking through defenses, weaken the castle by launching boulders, and capturing the tower by challenging and/or scaling to it. Robots will have to navigate through different barriers in order to reach the other side. A unique feature about the game is the audience participation where the spectators are able to choose a defense barrier for each match. Unfortunately, I wasn’t able to join my team members at the kickoff, but I was able to watch a live stream of the game at home. It was interesting to see the game’s field and how the game is to be played. In my opinion, Stronghold is much better than Recycle Rush. I love the medieval theme, with the field having giant towers for the alliances and the option of having a team standard over the player stations during matches. It really makes you feel like you’re back in the Middle Ages with knights and epic tournaments. The audience participation ability is going to be interesting. Teams outside the match will be trying to appeal to the audience in a Hunger Games sort of way to win their approval. I think the game is perfect for us because as a medieval themed team, the possibilities for team spirit becomes endless. My team members were quite excited when they first saw the teaser for the game back in October. Right after watching it they were already theorizing about the game, wondering if it would be like Tower Defense or jousting. Then after attending kickoff they started brainstorming ideas for the robot. They discussed what type of robot it would be and possible strategies to score the most amount of points. 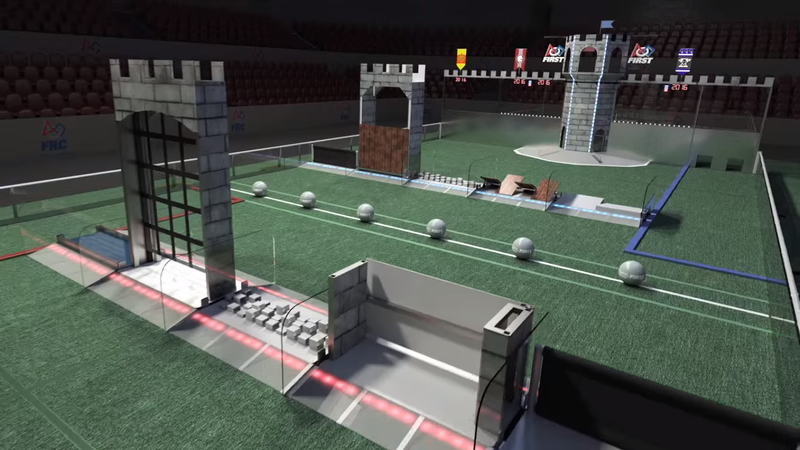 Robots will be storming the castle in Stronghold.